The Niro, shown in a teaser image, may borrow the creased hood styling from the new Sportage. Kia plans a Chicago auto show debut for the crossover-styled Niro that will be the brand's first dedicated hybrid model. 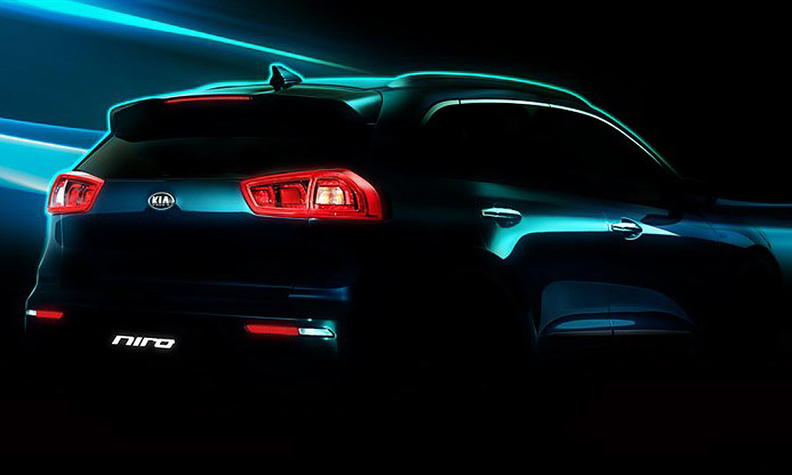 Teaser images of the Niro released ahead of its unveiling in February suggest some design cues may be borrowed from Kia’s newly redesigned Sportage compact crossover, including a deeply creased hood. 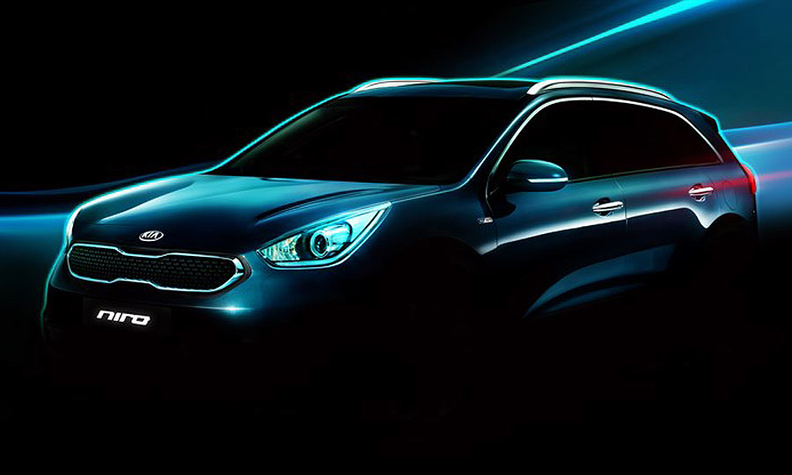 The Niro will be built at Kia’s assembly plant in Hwaseong, South Korea, and is slated to go on sale in late 2016. It will be powered by a 1.6-liter gasoline engine paired with a 32-kilowatt electric motor. A plug-in hybrid variant will follow. With the crossover design, Kia is targeting the American market, where the boxy, trucklike Soul hatchback outsold all other subcompact cars in 2015. Kia built the Niro using a dedicated hybrid platform shared with the Hyundai Ioniq, a liftback sedan scheduled to go on sale in late 2016.